The TCX Fuel Waterproof Goretex boot is based on a classic design: the engineer boot. 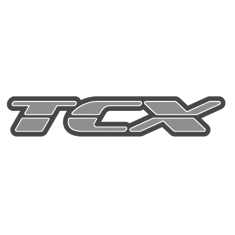 TCX took this classic boot and updated it to suit a modern motorcyclist's needs. This boot will serve you very well on any of your two-wheeled adventures. The gorgeous full grain leather outer has a weathered look to it that will only develop more character with age. Underneath this sturdy outer layer you'll find a goretex membrane, making these boots waterproof yet breathable. There's reinforced toe and heel cups and full malleolus protection. The full length gusseted zip on the inside of the foot means you get easy access to the boot. It is kept in place by a leather tab with Velcro when closed. The Fuel has a billowed leather insert above the heel for added flexibility and ease of movement. We're very impressed with the fit and quality of this boot and rank them high on our personal wishlists!